Falling Water Gardens is nestled right outside downtown Monroe, surrounded by green pastures of farmlands, flourishing display gardens, and many breathtaking water features. 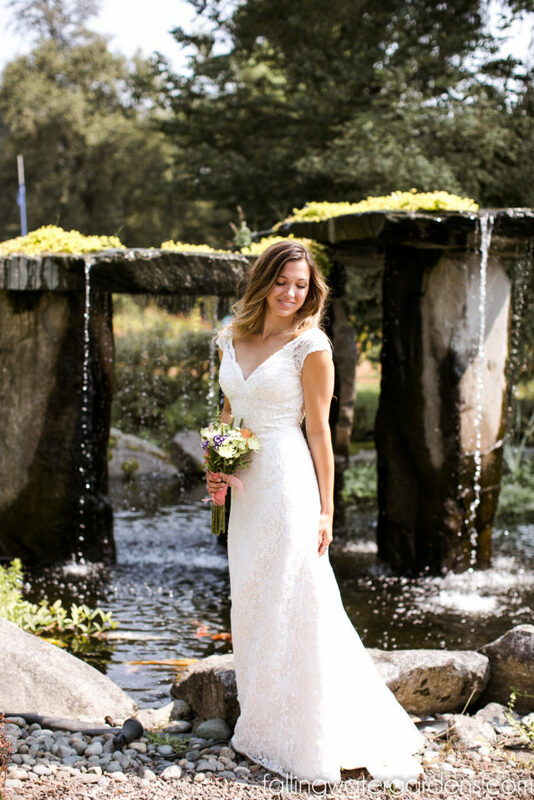 Your outdoor wedding is held on groomed lawns with backdrops to the gardens and water features. There are several ceremony locations to choose from. 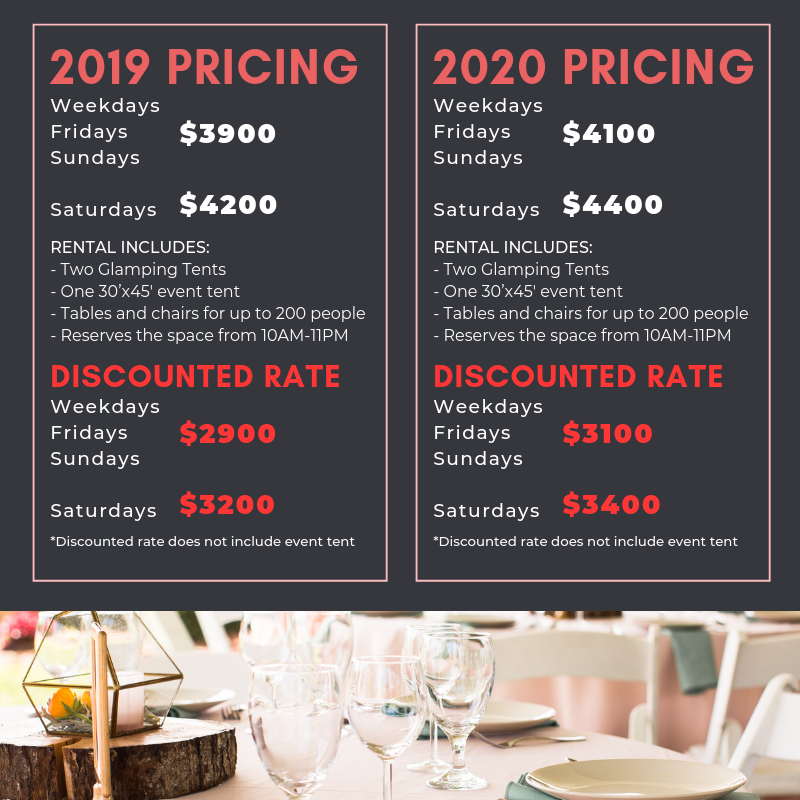 Two fully-furnished glamping tents and tables & chairs for up to 200 people are included in your wedding package. Enjoy getting ready for your special day and making fun memories at our totally unique venue. Please contact us at 360-863-1400 or email us at info@FallingWaterGardens.com to learn more and schedule your personal tour! Have more questions for us? Please fill out the form below.